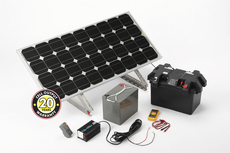 SolarShop supplies an excellent range of Solar Panels from 5W through to 300W for On Grid or Off Grid Systems. Domestic and Commercial Solar Panels Kits, Flexible Solar Panels and rooftop kits for yachts, boats, caravans and motorhomes. Trade and Commercial Solar Panel Solutions. Solar Panels for domestic and commercial solar systems connected grid. Off grid solar panels for situations where the grid is not available or to costly to connect. We have a range of Flexible and rigid solar panels designed for narrow boats, yachts, caravans and motorhomes. DIY Plug in Solar panels to create and use the energy directly for your appliances during the day. Buy in bulk solar panels for domestic and commercial.